The download attribute allows us to force media file downloads onto the user’s computer or mobile device. Typically, when we link to an HTML document, PDF, image file, or other media files, they will be opened in the browser when the user clicks on its link. 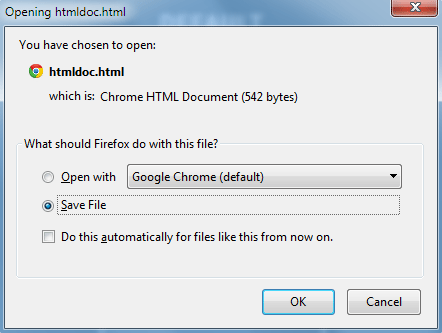 But if the hyperlink has the download attribute, such as in the example above, the browser is instead instructed to download the file, behaving much like a link pointing to a .zip or .exe file. The download attribute is great for PDFs, image files, video and audio clips, and other media content that you would like users to save on their computer or mobile device. You can change the actual file name by giving the download attribute a value. In the example above, when the user clicks on the hyperlink, the PDF file named “tform5201.pdf” is changed to a more readable and user-friendly file name “visa-application.pdf” when it’s downloaded. 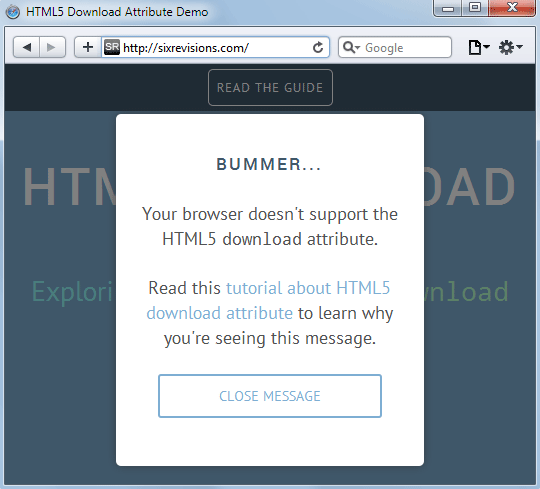 In the demo page, if the download attribute isn’t present in the browser, a modal window is displayed with a message telling the user the feature isn’t supported. Check out this download attribute support table at caniuse.com to see its present-day browser implementation status. 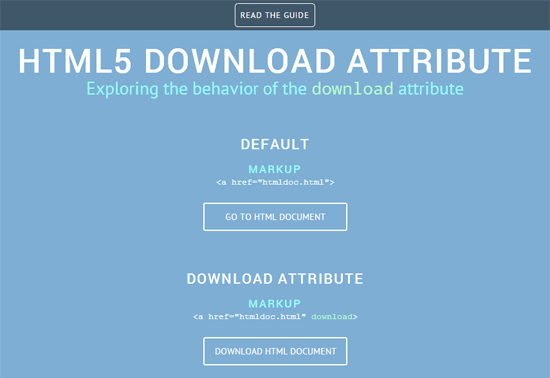 Also, check out the W3C’s download attribute specifications.